The forces of an impact are absorbed by the body. We’re not designed to withstand these powerful forces. If you’re hit from the back or front, your neck is pushed into unnatural positions. You will likely have a joint that isn’t functioning as it should. If left untreated, it will lead to degeneration, osteoarthritis and of course, pain. 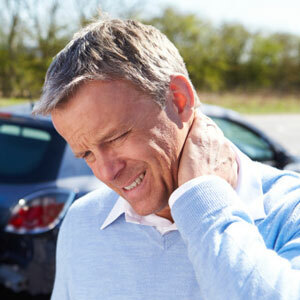 The discomfort can last for years, making it of utmost importance that you’re examined by an expert in auto accident care. What you might think is simple stiffness or soreness could actually be a serious soft tissue injury. Too often, we see people who assumed that their pain would go away over time. In fact, it usually becomes worse. As time goes by, your condition will become more difficult to correct. The sooner you are examined, the better your prognosis will be. Hospital Emergency Rooms take care of potentially fatal issues. If you aren’t bleeding and don’t seem to have internal injuries, you’ll likely be sent home with a muscle relaxer or pain pill. The doctors and nurses there don’t always evaluate joint injuries since they aren’t life-threatening. We’ll work with your attorney or insurance adjuster to make sure that you receive the care you need. If you would like to find an attorney, we’ll be happy to refer you to someone specialized in auto accidents Greenville. You deserve to be free of stress during this trying time, and we’ll be happy to take care of the details for you. Don’t delay getting the attention you need. Contact Brown Chiropractic Center today! We have X-ray facilities on-site or can refer you out if you require an MRI or CT scan.